The Digger and the Flower follows three big trucks as they hoist, push, and dig, erecting buildings, building roads, and constructing bridges in a seemingly brand new city. They do this day in and day out until Digger discovers something growing in the rubble one day: a flower. Digger suddenly finds his priorities shifting as he becomes protective of the flower, paving around it and protecting it from the elements. But what happens when progress overtakes the flower's natural habitat? 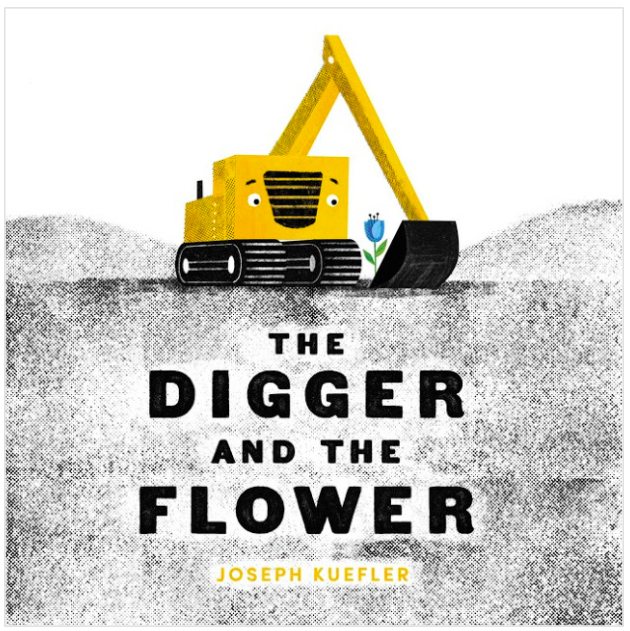 The fact that Digger –– a machine built for the sole purpose of destroying everything around it, including nature –– is the one to find and protect this flower is very touching. 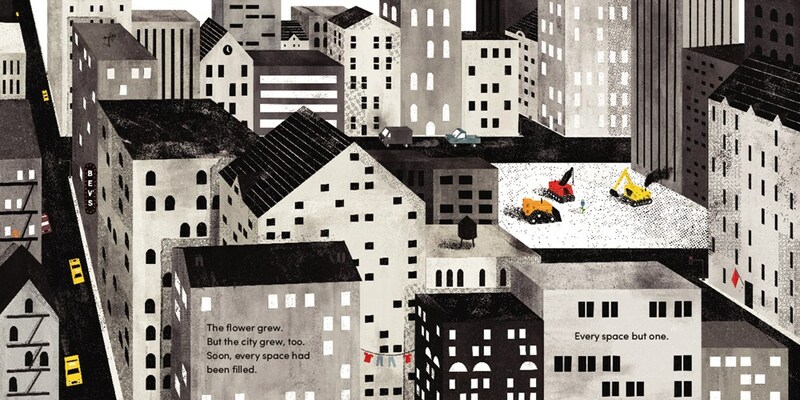 The digital illustrations offer readers many, many textures to take in (seriously, how incredible is the texture of gravel in this book?! ), and Kuefler's selective use of color highlights the differences in sensation between being amongst urban city buildings and being in nature. 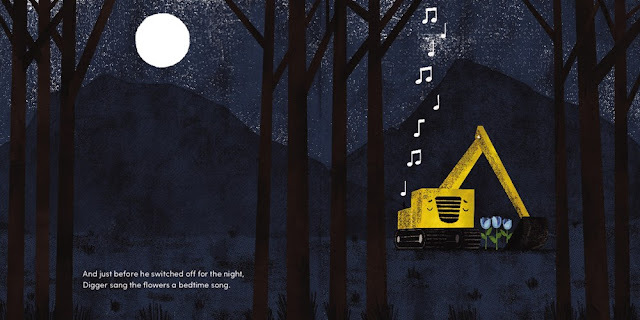 The Digger and the Flower published from BALZER + BRAY last week!